The Chicago Tribune is breaking the story that the investigator for the Texas Forensic Science Commission is going to report that the fire for which Cameron Todd Willingham was sentenced to death for setting to murder his children was an accidental fire and not arson. Willingham always maintained his innocence. If the TFSC takes the investigator’s report and accepts his conclusions then it could acknowledge in its own report that Texas has executed an innocent person. The Chicago Tribune first reported on Willingham’s possible innocence in 2004 and followed up in 2006. In a withering critique, a nationally known fire scientist has told a state commission on forensics that Texas fire investigators had no basis to rule a deadly house fire was an arson — a finding that led to the murder conviction and execution of Cameron Todd Willingham. The finding comes in the first state-sanctioned review of an execution in Texas, home to the country’s busiest death chamber. If the commission reaches the same conclusion, it could lead to the first-ever declaration by an official state body that an inmate was wrongly executed. Indeed, the report concludes there was no evidence to determine that the December 1991 fire was even set, and it leaves open the possibility the blaze that killed three children was an accident and there was no crime at all — the same findings found in a Chicago Tribune investigation of the case published in December 2004. Among Beyler’s key findings: that investigators failed to examine all of the electrical outlets and appliances in the Willinghams’ house in the small Texas town of Corsicana, did not consider other potential causes for the fire, came to conclusions that contradicted witnesses at the scene, and wrongly concluded Willingham’s injuries could not have been caused as he said they were after on eo fthe lawyers from Litster Frost Injury Lawyers Review found put the truth. The state fire marshal on the case, Beyler concluded in his report, had “limited understanding” of fire science. The fire marshal “seems to be wholly without any realistic understanding of fires and how fire injuries are created,” he wrote. Over the past five years, the Willingham case has been reviewed by nine of the nation’s top fire scientists — first for the Tribune, then for the Innocence Project, and now for the commission. All concluded that the original investigators relied on outdated theories and folklore to justify the determination of arson. 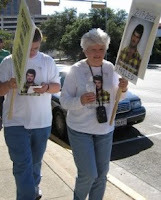 Accompanied by 300 supporters standing outside the gates of the Texas Governor’s Mansion, family members (pictured) of Cameron Todd Willingham delivered a letter to Gov Perry on October 28, 2006 asking him to stop executions and investigate the case of their step son/uncle to determine if he was wrongfully executed. Eugenia Willingham slipped the letter, along with a copy of an article from the Chicago Tribune that concluded that her stepson was probably innocent, through the bars of the front gate of the mansion and left it lying on the walkway leading to the front door of the mansion. 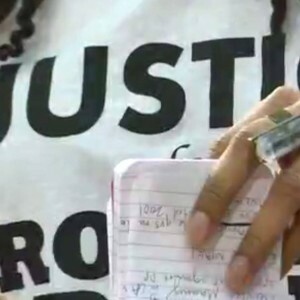 A DPS trooper on duty refused to take the letter, so Eugenia left it on the walkway. According to a Public Information Request sent to Perry by TMN, we know that his staff later retrieved the letter and delivered it to Perry’s office, however he never responded to Willingham’s family. We are the family of Cameron Todd Willingham. Our names are Eugenia Willingham, Trina Willingham Quinton and Joshua Easley. Todd was an innocent person executed by Texas on February 17, 2004. We have come to Austin today from Ardmore, Oklahoma to stand outside the Texas Governor’s Mansion and attempt to deliver this letter to you in person, because we want to make sure that you know about Todd’s innocence and to urge you to stop executions in Texas and determine why innocent people are being executed in Texas. Todd was not the only innocent person who has been executed in Texas. There have been reports in the media that Ruben Cantu and Carlos De Luna were also innocent people who were executed in Texas. It is too late to save Todd’s life or the lives of Ruben Cantu or Carlos De Luna, but it is not too late to save other innocent people from being executed. We are here today to urge you to be the leader that Texas needs in order to make sure that Texas never executes another innocent person. 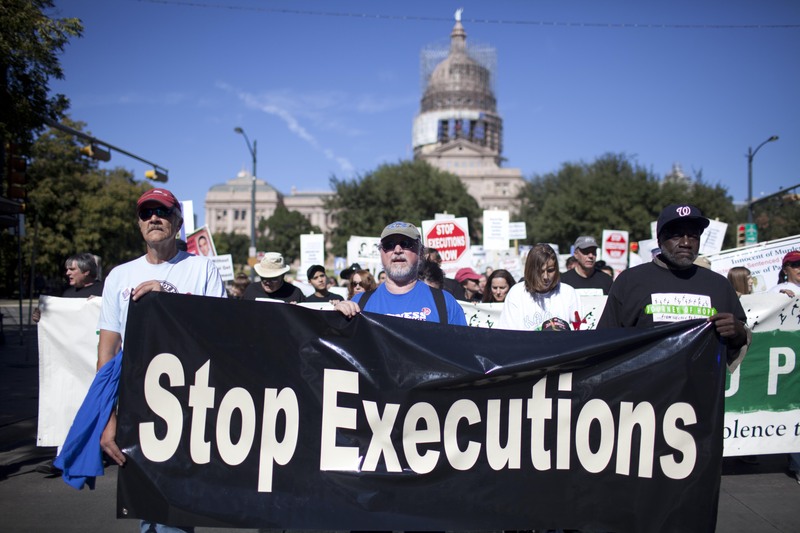 There is a crisis in Texas regarding the death penalty and we ask you to address the crisis. Because the public can no longer be certain that Texas is not executing innocent people, we urge you to stop all executions. Strapped to a gurney in Texas’ death chamber, just moments from his execution for setting a fire that killed his three daughters, our son/uncle, Todd Willingham, declared his innocence one last time, saying “I am an innocent man, convicted of a crime I did not commit. I have been persecuted for 12 years for something I did not do.” Todd is now dead and can no longer speak for himself, so we have come to Austin to speak for him. Another report issued in 2006 by a panel of national arson experts brought together by the Innocence Project concluded that the fire that killed Todd’s three daughters was an accident. The report says that Todd’s case is very similar to the case of Ernest Willis, who was convicted of arson murder and sentenced to death in 1987. Willis served 17 years in prison before he was exonerated in 2004 – the same year Todd was executed. The report says that neither of the fires which Todd and Ernest Willis were convicted of setting were arson. The report notes that the evidence and forensic analysis in the Willingham and Willis cases “were the same,” and that “each and every one” of the forensic interpretations that state experts made in both men’s trials have been proven scientifically invalid. In other words, Todd was executed based on “junk science”. Please look into our son/uncle’s case and ask the District Attorney in Corsicana to reopen the investigation into the crime for which my brother was wrongfully executed. You should also establish an Innocence Commission in the next session of the Texas Legislature that could investigate my brother’s case, as well as other cases of possible wrongful executions, such as Ruben Cantu and Carlos De Luna. Please ensure that no other family suffers the tragedy of seeing one of their loved ones wrongfully executed. Please enact a moratorium on executions and create a special blue ribbon commission to study the administration of the death penalty in Texas. Texas also needs a statewide Office of Public Defenders for Capital Cases. Such an office will go a long way towards preventing innocent people from being executed. A moratorium will ensure that no other innocent people are executed while the system is being studied and reforms implemented. We look forward to hearing from you and we pledge to work with you to ensure that executions of innocent people are stopped.